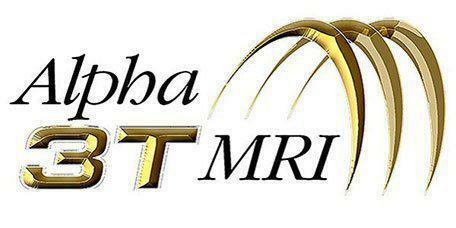 Alpha 3T MRI always appreciates feedback from our valued patients. To date, we’re thrilled to have collected 135 reviews with an average rating of 4.9 out of 5 stars. Please read what others are saying about Alpha 3T MRI below, and as always, we would love to collect your feedback. Kat was very helpful and Dr Primed put me at ease. This was a wonderful experience compared to my previous experience elsewhere. Jay at the front desk was very pleasant, professional and made me feel comfortable The waiting room is calming and pretty. Wow! Hands down the best clinic I've ever been to, down from the beautiful and comfortable environment to the very helpful and professional workers here. Also a special thanks to Jay for making me and my fiance feel welcomed and making sure that all of the patience were comfortable, hydrated and well appreciated! Jay she was so nice I feel real comfortable with her she give u a pleasant smile. Juanita was extremely nice loved my visit. You guys were great , quality facility , the staff was fantastic. Service was lovely staff is very kind Katherine was very funny made time go by faster. Will definitely recommend this place. It was great and very friendly. Kat was incredible, she made me feel comfortable and safe. Dr. Primad made sure that I was calm and ready to start. He is extremely aware of your feelings and even went so far as to wipe my tears. Overall a beautiful experience. The service here was great thanks to Kat for helping me out with my paper work. Great staff, Jay at the front desk was very helpful and polite.I didn't have to wait much time!! This was my first time coming to this office I was truly impressed when I first walked in the door Miss J at the receptionist desk was very very informative she was very polite as well as tell the gentleman but the whole staff here at this office is unbelievable they're very professional and you have nothing to worry about when it comes to personality they have such a good personality downstairs I spoke with the lady in the MRI department outstanding personality and personal contact with the patient I would definitely recommend this office to anyone thank you. Jay was very nice she had a lot of patiences, the tech was very helpful I will recommend my family and friends to come here.